Veterans’ mental health charity, PTSD Resolution, is calling for your support on Armed Forces Day on 30 June. At school you could dress up in military colours at the office: British Army is red, dark blue for the Royal Navy or light blue for the Royal Air Force. Your PE lessons could include an assault course. Or maybe you know someone in the Armed Forces who could come in and take part in one of your lessons! In your office you can dress-down or dress up on Friday 29th June or any other day! Or if you don’t want to dress up why not have a ‘Bake sale’. We have everything you need to support you from collection boxes, T shirts, to flags, balloons, badges and leaflets. Just contact events@ptsdresolution.org. Despite all the money, publicity, and help available to Forces’ Veterans with mental health problems, tragically, suicides still happen. The media has reported an alleged recent surge in suspected suicides. Veterans of the wars in Iraq and Afghanistan are now taking their own lives at a faster rate than their comrades died on the battlefield. Some 12 veterans are feared to have killed themselves since the start of the year – one every 13 days. In contrast, troops in Iraq and Afghanistan between 2001 and 2014 were killed in hostile action at a rate of one every 14 days. Part of the possible prevention strategy should be to increase awareness of the help that is available and encourage the active participation of relatives, friends and neighbours to recognise the signs and encourage sufferers to seek help. Several 24-hour help-lines exist, but they need to be continually publicised, and the advice given needs to be helpful. Helpful is knowing where, when and how to find help. • Prompt assurance that help is available, and how to access it. They do not want to be told to wait days and weeks. • Local help, not having to travel miles. • Brief therapy, not lasting months or residential. • Non-intrusive treatment, not having to re-tell or re-live experiences. PTSD Resolution has been meeting these needs for the past nine years, has seen over 2,000 referrals, and continues to receive an average of eight new referrals a week. Speed and quality of response to a cry for help is key to saving a life. We can all help. 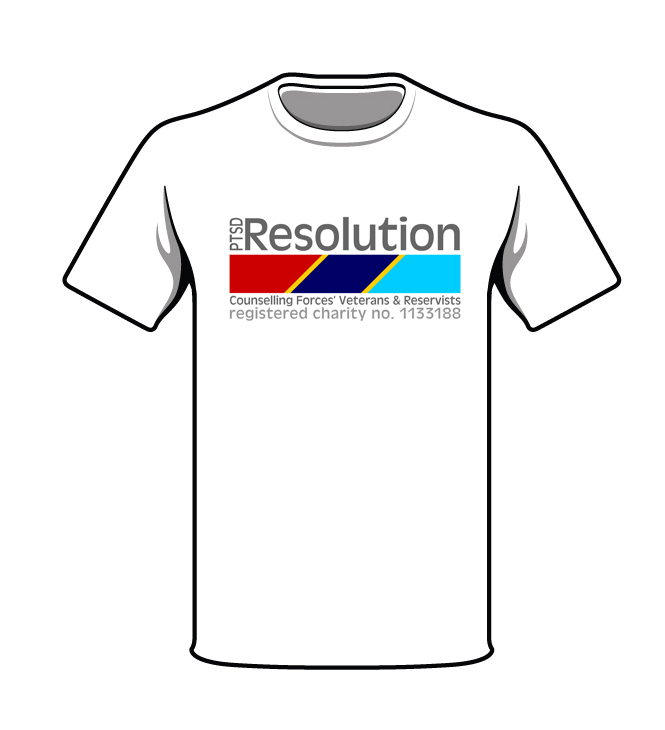 www.ptsdresolution.org; contact@ptsdresolution.org; 0300 302 0551. PTSD Resolution Pub Hub is a new pub-based initiative to help former members of the armed forces in the community, according to the organisers PTSD Resolution. The charity has a network of 250 therapists that provide help to services’ veterans and reservists suffering from military trauma to reintegrate into normal work and family life. PTSD Resolution Pub Hub focuses on pubs as centres of community life – those participating in the scheme raise local awareness of military PTSD and the charity, and also host fundraising events. The pubs offer veterans social contact in a sympathetic setting, say the organisers, and provide information on local services by Resolution Networks’ trained therapists, as well as employers, housing and services’ charities. PTSD Resolution Pub Hub can increase ‘footfall’ for publicans. According to Jim Woolley, the first publican to participate in the programme, “becoming part of the Pub Hub has been great for business.” He is landlord at the Hare Inn in Southcote, Bedfordshire, and has galvanised local residents and charities to help veterans, many of whom have become jobless and homeless. Amongst those helped is a former part-time soldier traumatised by a tour of duty with the Royal Artillery in Iraq, who had been sleeping rough but now has his own flat. Another veteran, aged 70, has also been helped: he fought in Aden in the Sixties, and says he can finally talk about his experiences, following treatment by a local Resolution Network therapist. The emphasis of Pub Hub is on compassionate support in a community setting, with a focus on reintegration and helping to re-establish veterans’ independence. The goal is to address the practical issues of mental health and social needs, as well as help with finding work and a home, where required. The commercial benefit for publicans is from the additional revenue resulting from new customers in an extended catchment area who want to support the initiative for veterans – or just want to participate in the programme of pub entertainments. Events can be timed successfully to increase trade particularly during periods when business traditionally is slow, such as in January, or early in the working week. 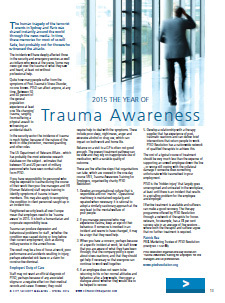 PTSD Resolution provides full marketing support and the opportunity for publicity on its vibrant social media pages. Pubs across the UK are invited to join us for free. 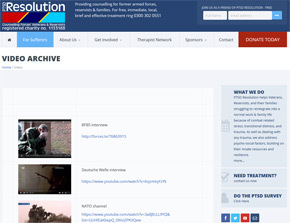 See our Pub Hub page for more information and details on signing up: http://www.ptsdresolution.org/pubhub.php. 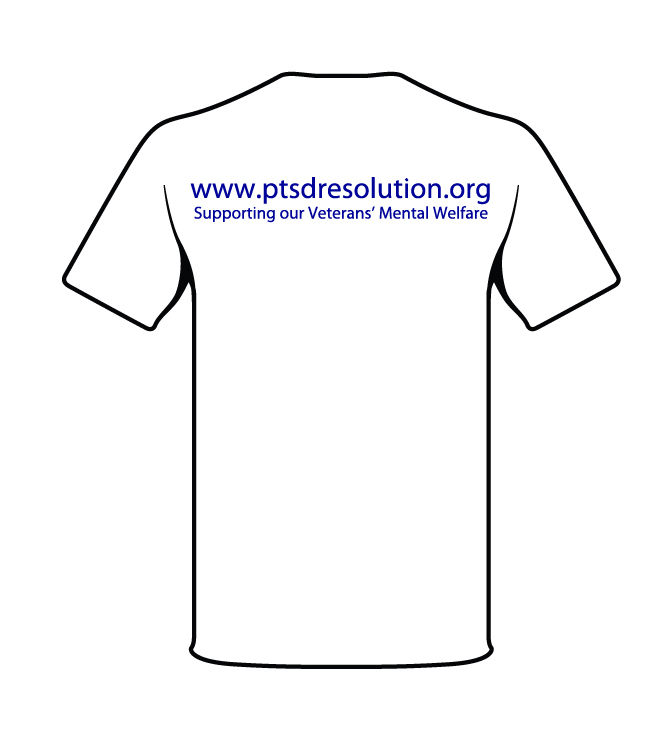 For further information: www.ptsdresolution.org PTSD Resolution Network, Meadow Cottage, Poundfield Road, Chalvington, BN27 3TH. "My traumatic event occurred in the Mull of Kintyre of 1984 when I was involved in a helicopter crash. About a month later, I started to develop PTSD symptoms and I went to see my GP who referred me to a Community Psychiatric Nurse. He carried out some computer testing with me and the result said that I did not have PTSD, just a problem with adjustment. A little while later, I re-sat the test and was told that I would be fine. "About 18 months ago, my symptoms became considerably worse. I contacted Combat Stress who put me on a six-week residential course. This seemed to work well but I knew that I still wasn't right. My family were really worried about me and it was my sister-in-law who found about PTSD Resolution. "The Rewind Technique, used by PTSD Resolution, worked really well for me because you don't have to go through every detail of what happened. The memory of what happened is still there but it doesn't cause me any stress. I am a lot less anxious than I was and I am functioning far better. Sleep has improved and my anger levels have dropped. My self-confidence has also improved and I feel more positive than ever before. "The service from PTSD Resolution could not be improved. In fact, it needs to be out there and more widely known among the public. I feel better now than I ever remember feeling, so thank you!" BD, Service in Iraq & Afghanistan. "I developed PTSD after suffering years of psychological and physical abuse at the hands of my father, a former Navy officer. As a result of his abuse, I was homeless for seven years and I have suffered flashbacks which have left me unable to work. 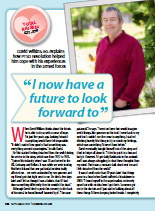 "By the time I found out about PTSD Resolution, I was desperate for help. They put me in touch with a therapist who recognised that my PTSD was caused by years of abuse and, more importantly, that it was not my fault. This really warmed my heart. I am now so much calmer and starting to rebuild my confidence. I would definitely recommend this service to others." Armed Forces' Veterans mental health charity PTSD Resolution has joined Cobseo, the Confederation of Service Charities, which provides a single point of contact for communication by Forces' charities with Government and other organisations. "We are delighted to be accepted to join Cobseo, which represents the serving and Veterans community of some six million people and their dependants. 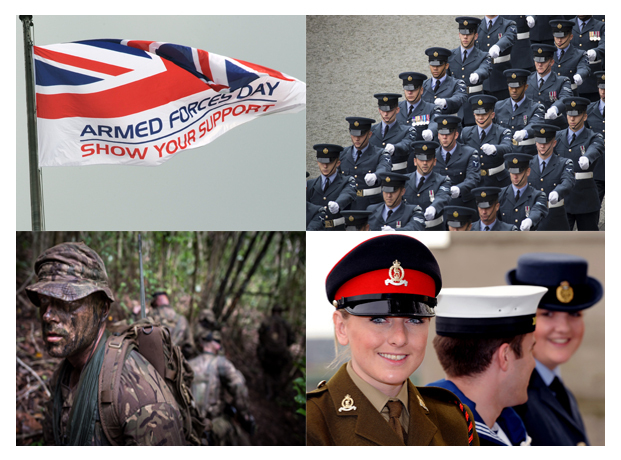 Membership enables us to promote and further the mental welfare and general interests of the Armed Forces community. "We will be able to work more closely with the other charities for the common good. It also gives everyone who is interested in what we do a further level of assurance about our credentials. Together with the measurement of outcomes for every treatment session we provide, and the volume of heartfelt testimonials we publish on our web site, Veterans can be assured that help is at hand for those suffering from military trauma". PTSD Resolution offers free treatment for mental health to all UK Forces' Veterans, Reservists and their families. It provides help locally through 200 accredited therapists in a UK-wide network. Treatment is brief, including an average of just five outpatient sessions required on average. Subsequent treatment if required will be discussed and agreed by the Veteran and the Therapist. Treatment programmes usually start within days of first contact with the charity. "We are extremely lean in our operation as a charity. We have no assets and pay no salaries – funds are used to pay the therapists and any essential administration and communication work. But as we receive no Government funding we rely on the generosity of the public and always need more funds." “Due to the overwhelming number of victims and lack of help to sustain the issue, I feel it is my best way to help the cause to the best of my ability by doing the walk! I aim to complete the journey in 800 days (roughly two years and two months) covering on average 10 miles per day. I am hoping this journey helps all PTSD victims but also helps my recovery and for me to find a new way in life,” he says. Sam left the Forces in 2009 and has suffered from Post-Traumatic Stress Disorder since. 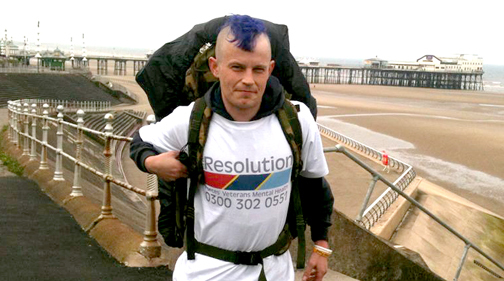 He set off on his 7,700-mile trek in aid of PTSD Resolution in what he says is his last chance to turn his life around. 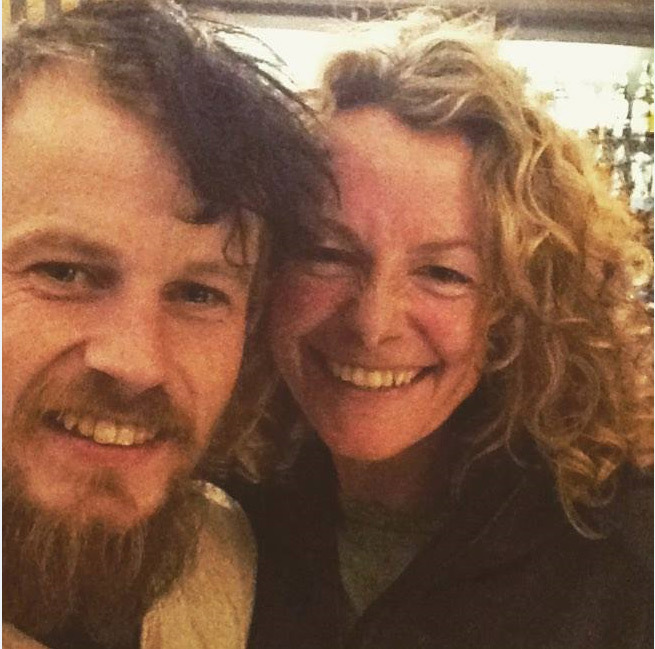 Sam left Blackpool on May 29, aiming to raise money for sufferers of PTSD and awareness about the condition, and arrived in Helensburgh on Wednesday, October 4, after four months on the road to a warm welcome – from former Armed Forces champion turned politician, Maurice Corry. 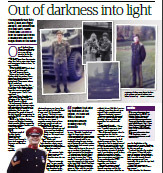 Sam said that after leaving the army his life fell apart – losing his home, his job and his girlfriend. But rather than begging on the streets, he laced up his boots, and decided to get up and walk. He told the Advertiser: “The whole experience has been totally different to what I thought it’d be and if it wasn’t for the people I’d probably have given up. “There have been people waiting for me in every town, having seen my social media posts. Facebook and my blog have been my fundamental lifeline so far. “MSP Maurice Corry stopped me to tell me I had his full support and even invited me to parliament when I get to Edinburgh. Both Mr. Corry and Councillor Morgan were delighted to meet who they described as an “inspirational” man. Mr. Corry said: “I fully support this and wish Sam the very best for the remainder of his journey. I hope he will visit me in the Scottish Parliament to promote his cause. Sam was joined by his “travelling companion and best friend”, Jess, the lurcher whom he rescued in Irvine after speaking to a barmaid whose dog didn’t get on with her boyfriends. Sam said: “I’d been thinking about getting a dog but rescue centres wanted to check my home was suitable before letting me rescue – so this was good timing for both me and Jess. click image to read whole article. experiences she witnessed led to her being diagnosed with PTSD. Post Traumatic Stress Disorder (PTSD) can be devastating for victims and their families. It produces high levels of anxiety that often lead to depression and anger, which then leads to job loss, violence, alcohol abuse, and even suicide. Our veterans, who have sacrificed so much, deserve the opportunity to once again experience a sense of normalcy in their lives. It is also important to remove the additional stress of financial burden by offering free counseling to help resolve their PTSD mental health issues. If you would like to help veterans with PTSD, fundraising is the best way you can ensure the ongoing success of therapy programs that help PTSD sufferers and their families. State Your Goal and Purpose: Be sure to tell everyone the specific goal amount that you wish to raise during the fundraiser and the ways in which the funds will be used. People are more willing to donate when they can clearly see how the money will be spent. Set Individual Target Goals: Divide the overall goal amount between individuals to assign a manageable target amount for each seller. Advertise: Use social media, local newspapers, bulletin boards, etc. to get the word out about your fundraiser. Create a Convincing Sales Pitch: Come up with a sales pitch that moves people to donate. Making it personal will motivate more donations. Something like Post Traumatic Stress Disorder (PTSD) can be distressing not only for the victims but for their families as well. The ex-servicemen and women from Armed Forces who suffer from this trauma often experience high levels of anxiety, and face depression and anger, which can then lead to job loss, relationship breakdown, violence, alcohol abuse, and even suicide. PTSD mental health issues are a burning concern and for which the charity PTSD Resolution delivers free, prompt, local and highly effective therapy for affected veterans, reservists and families. Contribute to this noble cause and do your bit by participating in our fundraiser programs for our unrecognised heroes. For more information you can contact us on 0300 302 0551 or visit our website. Decide on a Fundraiser: Think about the time of year and the items people might be looking to purchase during that season. If you’re fundraising during a holiday season, you might want to sell candy or gift items. During non-holiday times, you might be more successful selling discount cards, popcorn, raffle tickets, or portraits. Another option is to host one big event, like a dinner or a carnival. Many fundraising tips, ideas, and resources can be found here. Assign Responsible Parties: Use the divide and conquer method to accomplish all fundraising tasks. Depending on the scope and complexity of your particular fundraiser, you might assign one person or a small committee for each duty. Tasks include record-keeping, advertising, money collection, and materials curation. 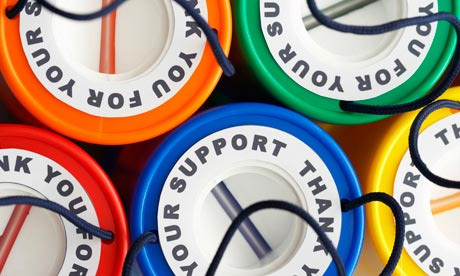 Fundraisers can be large and involve many people and much collaboration and effort over several months, or they can be small and involve a small group of people for a short amount of time. No matter the size and scope of the fundraiser, keep in mind that every little bit helps to make a positive difference in the lives of those affected by PTSD. Guest post by Helen Cartwright"
ASIS UK is the first security membership organisation, probably in the world, to offer trauma treatment as a member service through a preferred supplier. 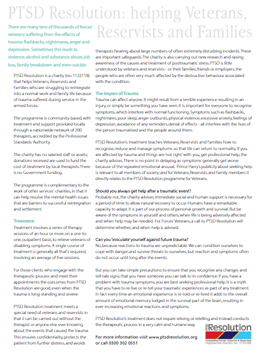 This means that any member of ASIS UK who feels that they might be suffering from trauma, however caused, can access the PTSD Resolution network of some 200 therapists nationally, at a preferential fee rate. This also applies to family members. A major benefit is that an appointment for therapy can usually be arranged in a matter of days. Also, the service is confidential and no referral is needed from a GP. ASIS UK has worked with the charity for several years now in support of its primary aim, which is to provide help to UK forces’ veterans and reservists who may be experiencing the residual effects of military trauma. The charity has helped many veterans – some of whom work in the security industry – in a service that is both compassionate and effective. There are particular issues of mental health for the security sector community, not only because of the number of veterans in its ranks, but also because of what staff may see or hear or otherwise experience during the course of their work. With the current level of terrorist threat that there is an ever-present risk of being exposed to trauma, at first hand or through the account of staff or colleagues. “All responsible organisations of any size now have contingency plans to deal with a terrorist attack or other security threat or damage. It is universally recognised as a sensible and logical precaution. 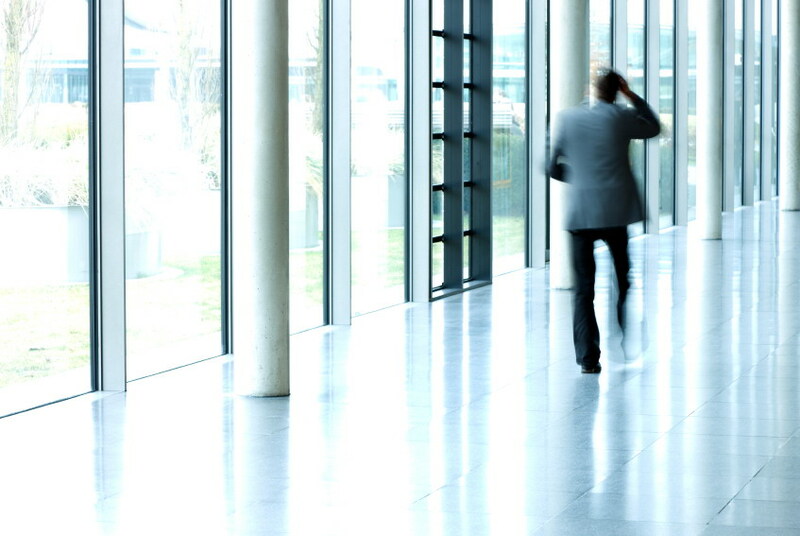 But too few organisations have any kind of backup plan for how to deal with the trauma that staff might experience from any of these or other circumstances in the course of their employment,” says ASIS UK. 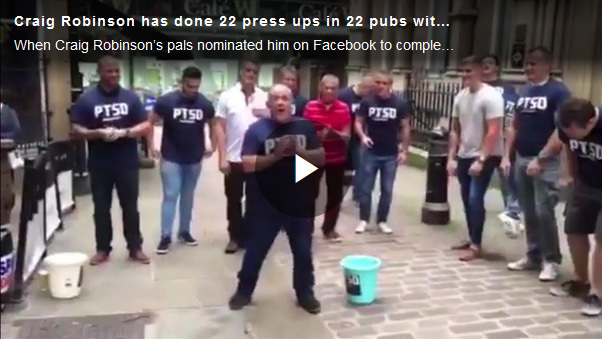 WHEN 43-year-old Craig Robinson’s pals nominated him on Facebook to complete the 22 Press Ups challenge for charity PTSD Resolution, he decided to call in back up. He rounded up some rugby friends and organised a pub crawl with a difference, carrying out the challenge in 22 pubs from Bingley’s Wetherspoons to the City Vaults and The City Gent. 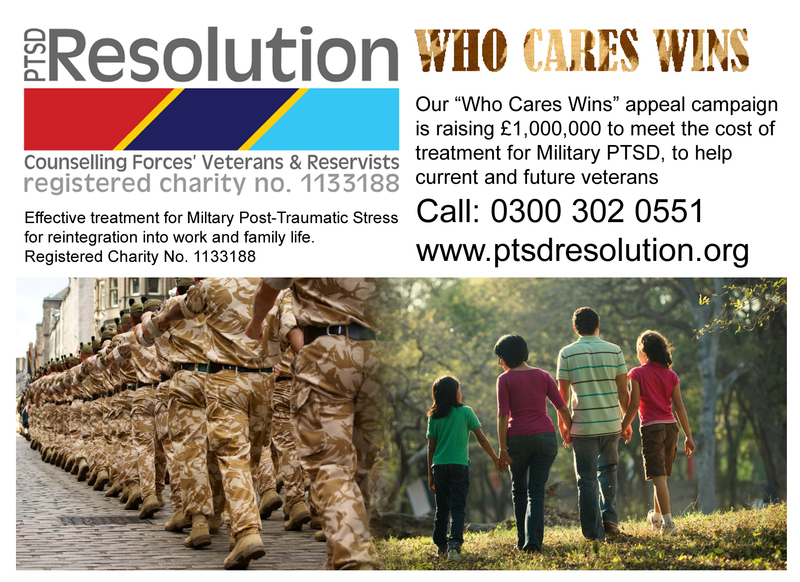 PTSD Resolution is a charity helping veterans, territorial army and reservists who are struggling to settle back into a normal work and family life because of military trauma suffered during service in the armed forces. The challenge was started by an American campaign group called #22KILL, which is hoping to reach 22million press ups in total. Its aim is to raise awareness of veteran suicides and word spreads via social media, where people post videos of themselves in action and challenge others to take part. Mr Robinson’s sister-in-law, Claire Adams, said: “Craig got nominated and didn’t want to do it alone so he got some mates involved and decided to make a day of it. "The response we got was amazing. We had to run and buy more buckets. "People were so generous, it just went crazy. "We even had a bride and groom join in the press ups in one of the pubs!" The challengers have so far made more than £900 and donations can still be made online at justgiving.com/fundraising/22p22p. 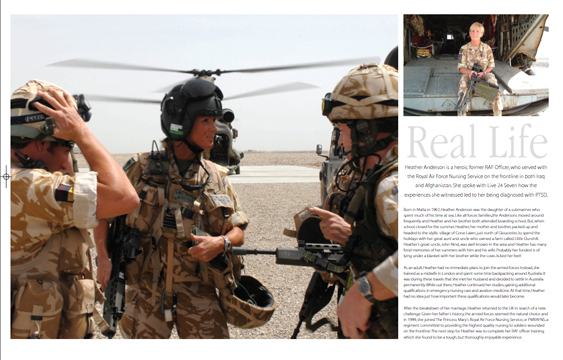 "Anger in the UK Armed Forces"
Prima Magazine - Autumn 2012 "Invisible Victims"